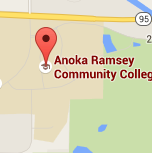 Why did you choose Anoka-Ramsey Community College? As an inexpensive and welcoming place, Anoka Ramsey was a great place to explore different types of undergraduate classes until I decided on my degree. Name one of the best aspects of Anoka-Ramsey. The faculty and staff are caring, and they take an interest in my success as a student as well as a person. They're helpful, encouraging and approachable. What would you say to a person considering attending Anoka-Ramsey? It's an excellent place to discover your major! There's this stigma around community colleges, but since I'm getting my associate's degree for around $5,000, and meeting new friends while I do it, I think that's a stigma I can live with. What is one thing you would like people to know about the Creative Writing program? With instructors dedicated to your growth and exploration as a writer, Anoka-Ramsey's Creative Writing program excels at introducing you to the Twin Cities writing scene while growing your abilities as a writer. Connor is the first in his family to attend college. Connor's dream job would be as a screenwriter for A-list movies. "The teachers are, hands down, the best part of Anoka-Ramsey. I’ve always read a lot, but while at Anoka-Ramsey, I had teachers who gave me entirely new perspectives on the writers and works I was already interested in. I always knew I liked certain authors, but couldn’t really put my finger on why. 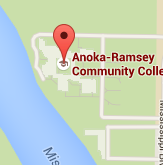 After my time at Anoka-Ramsey, I had a much better understanding. I spent a lot of time in the advising office. Having transferred many of my credits from a community college in Nevada, I wasn’t really sure how to proceed in a new state with different graduation requirements." "Having taken creative writing classes at Anoka- Ramsey, I can honestly say that talent alone isn’t enough, no matter how talented. There’s so much I didn’t know. I’ve also learned that part of writing is having a network. You’ll never meet half the people you should without going to school." "When I walked through the doors here, I knew this was the place to get started. I’ve enjoyed it here ever since. Being Hispanic I appreciate the diversity at Anoka-Ramsey. I have met people from all over the world. It’s fun to have them share their cultures with me, and to see they have the same interests as I do."